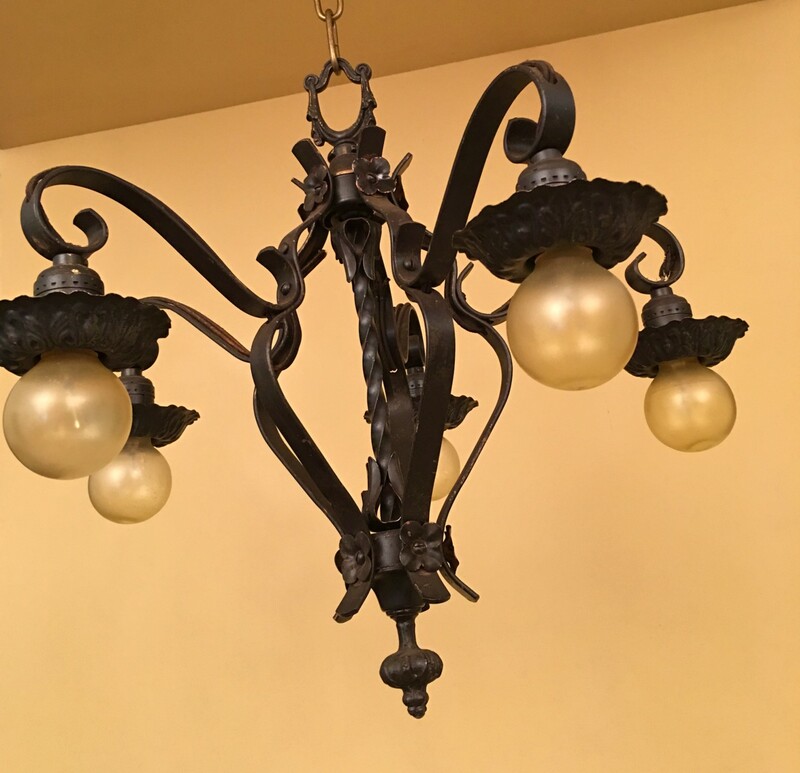 I hesitated to buy this 1920s strap-style chandelier for it had been overpainted black. The fixture originally would have had a polychrome finish of gold, with likely accents of red and green. At some point the whole was painted black. 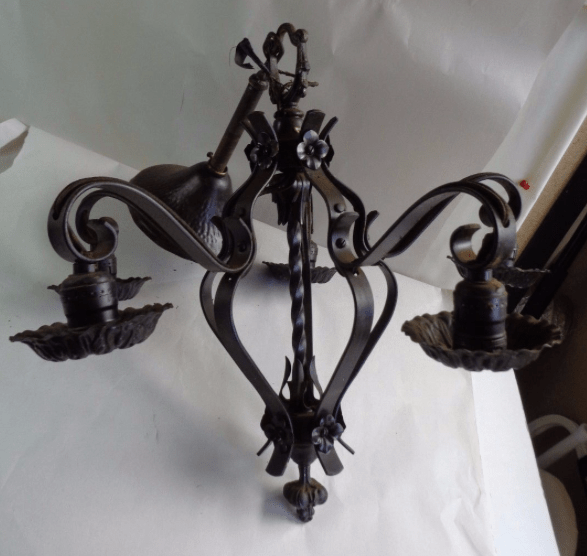 While I normally restore fixtures to their original appearance, I decided that the black finish offered a dramatic effect, and made the purchase. I will rewire the chandelier with lovely brown cloth-covered wiring, and install new paper insulators, but otherwise leave it alone. 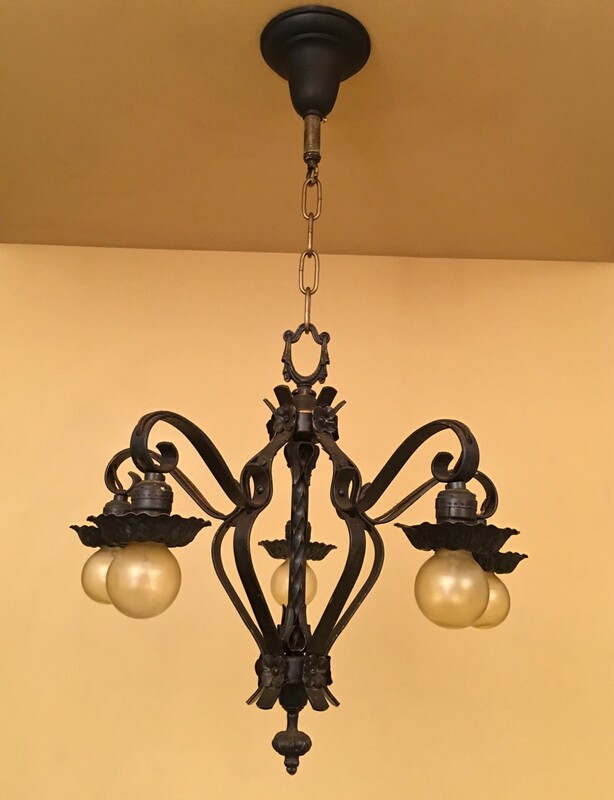 This type fixture is called strap-style because it’s made primarily from flat metal bars, like belt straps. What I love about such fixtures is how curvaceous they are. Just lovely to look at. The style was very popular in the 1920s and 1930s, and used in a variety of home styles including bungalows, Arts & Crafts, Spanish-Revival, Colonial-Revival, and Four-squares.